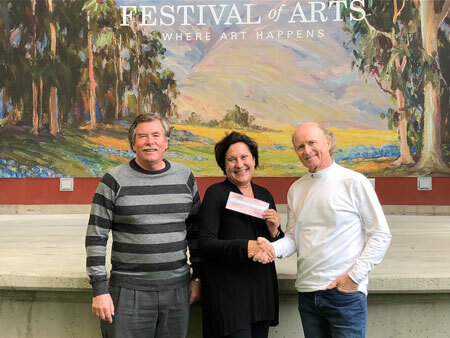 Laguna Plein Air Painters Association (LPAPA) received a generous grant of $3,000 from The Festival of Arts (FOA) Foundation to supplement their educational projects. This generous grant will be used to partially fund LPAPA’s Educational Plein Air Project. 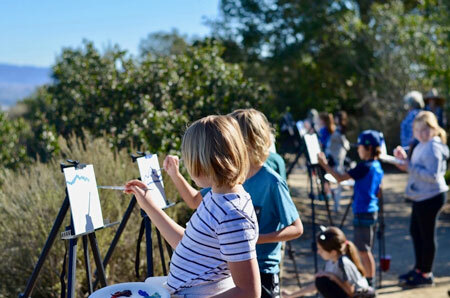 Three portions of the Plein Air Project will once again be presented during the annual Laguna Beach Plein Air Painting Invitational to inspire our next generation of artists. LPAPA’s Plein Air Project – Recent nominee at LBAA Art Star Awards Best New Arts Program – A program where LPAPA artist/mentors introduce students to the history of plein air painting through lectures, demonstrations and in field study (where students are given art supplies to create their works of art) along with a field trip to museums. Click here to read the full article in Stu News Laguna.